Here’s Nikki and her new babies. She absolutely adores them, and is being such a good mama that I’m very proud of her! 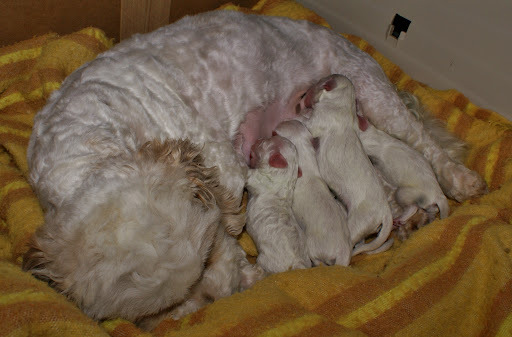 (If you can’t see all the puppies, it’s because the one puppy is laying somewhat on top of the fifth puppy.) Aren’t they cute? Praise the Lord for five healthy babies! He’s so good!